Kendra Heffelbower is a teacher at C.W. Harris Elementary School in Washington, D.C. Before coming to C.W. Harris 4 years ago, she taught at Watkins Elementary School on Capitol Hill for 11 years. In this Q&A, you’ll hear how Kendra makes environmental education a reality for her students, giving them a true appreciation of the world around them. Read on to learn Kendra’s perspective on the true power of sustainability education, the biggest successes she’s experienced in the classroom, her thoughts on working alongside strategic partner like EcoRise, and much more. Q: What are the aspects of environmental education that interest you the most? Are there particular elements that seem to really interest and motivate your students? A: The aspect of education, in general, that interests me most is the integration of different subjects and how they all work together to create understanding or help solve a problem. I particularly enjoy integration as it is applied to environmental education because there is a direct correlation between everything we learn in math, science, and English language arts with students’ everyday lives. We are always asking our students to think about how they treat the environment around them and then reflect on the benefits when they do, and consequences when they don’t. 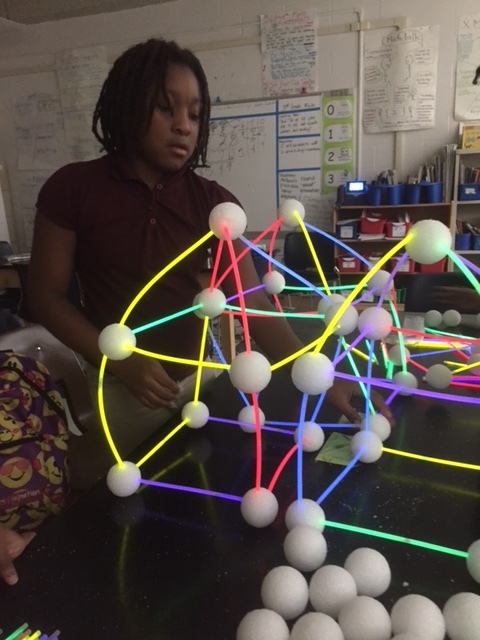 In order to do this they have to make connections across subjects to fully understand, solve problems around, or communicate about environmental issues. 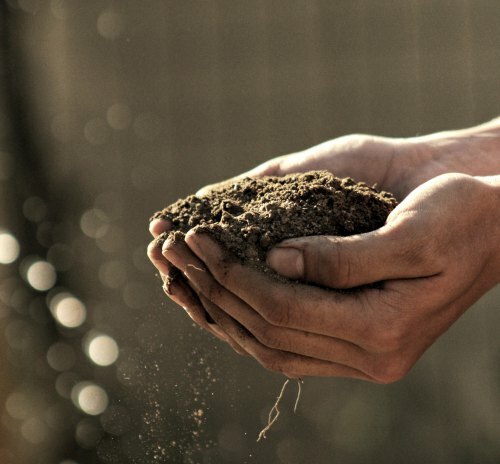 Through integration of multiple subjects, students are able to approach environmental issues from different points of view, ultimately resulting in “seeds being planted” in their minds or immediate action being taken. At C.W. Harris this year, my students have been working on completing a water audit to see how our school community consumes water after learning how precious it is as a resource. 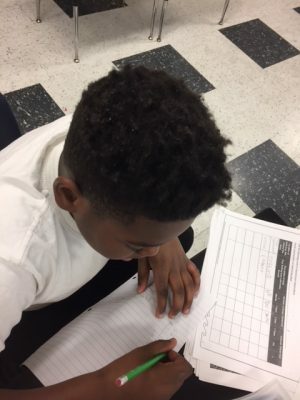 They have been very enthusiastic about using math, science, history, and ELA to get the results and write a grant through EcoRise to help them solve some of the problems they come across in the audit. Having the ability to write a grant empowers them to use their ELA skills and the knowledge they gathered to help inform others of the benefits and consequences that we face when making choices about our environment. Ultimately, using an integrative approach not only allows an entry point for every student, but also provides learning that lasts. Q: When was the first time you feel like you understood the true power of sustainability education, and felt like making a difference in this area was truly possible? A: The first time I felt like I understood the true power of sustainability education was my second year of teaching when my first grade class adopted a tree that we could see right outside our window. We named our tree Slim Shady and proceeded to learn about the importance of trees, how they benefit our lives and what we can do to help our tree and other trees in our community. At one point, one of my students asked about the tree’s birthday and it gave us the idea that, yes, we should celebrate Slim Shady’s birthday! My first graders voted to get mulch as a birthday gift because it would not only dress the tree up, but would also prevent run-off, helping Slim Shady get the necessary water and nutrients in its concrete urban setting in Washington, D.C. What I learned from my first graders that year is that, as long as I can help my students feel invested in their environment, they’ll take very good care it. For the next four years, as my students matriculated through to fifth grade, they would come visit, ask me how Slim Shady was doing, and inquire about whether we needed more mulch. This resulted in a partnership between Casey Trees and a garden-to-kitchen collaboration called Foodprints, which continues to this day, 13 years later. I now always have plants inside my classroom because it is the first and natural step for students toward building a relationship with their environment. I’ve found they automatically ask to care for and learn more about the plants. When the opportunity to work with EcoRise came along three years ago, I was very excited because it was my second year at C.W. Harris, where we didn’t have any of the environmental programs that we had at my former school on Capitol Hill. 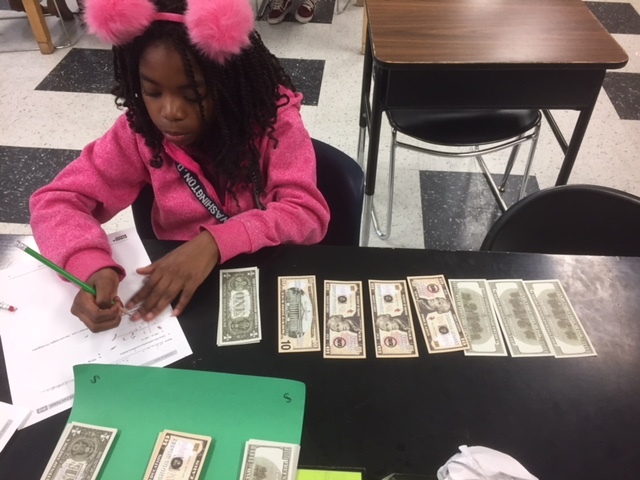 EcoRise not only provided a sustainable, science-based curriculum but also the opportunity for students to actually get money to invest into environmental projects through their Eco-Audit Impact Grants. This program prompted the creation of a STEM position at C.W. Harris that has grown over the past three years so that students here in Southeast D.C. are able to research and learn more about the impact they have on the environment and what they can do to either hurt or help the community they live in. This has made a powerful impression on students. Q: When you were first beginning to implement the EcoRise curriculum in your classroom, what kind of support did you receive? What did the implementation process look like? A: Over the past three years I have been able to implement more and more of the EcoRise curriculum. I was trained here at C.W. Harris about accessing the curriculum and the grant-writing process. The suggestion from the team at EcoRise was to start small, which is exactly what I did. The first year I was able to implement several lessons, but not necessarily get to the Eco-Audit. Last year we were able to complete more of the curriculum lessons and completed an energy audit, which was beneficial for my students to see, and now they won’t leave a classroom without turning the light off. After going through that process, students were extremely excited when the district decided to run our schools on solar power by installing panels on the roof. This year, we took the month of November to learn the ins and outs of water and its uses on our planet. After mapping the amounts of fresh, frozen, and salt water my students were amazed at how little fresh water is available. 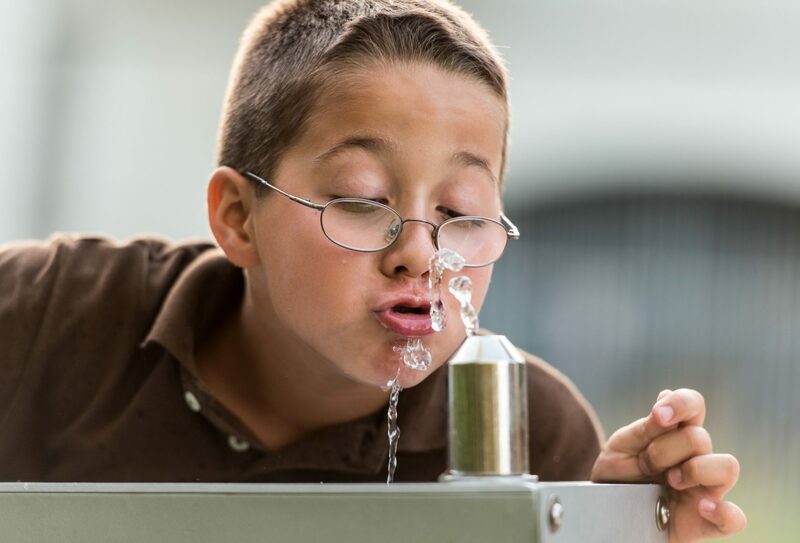 They are currently auditing the school’s water waste by starting out looking for leaks and preparing to address their concerns about the amount of water being wasted while students wash their hands in the bathrooms. So far, they have discovered that one very small leak over the course of a year could waste approximately seven gallons of water. They were able to calculate this by capturing the water produced from the leak for one minute. Then they extrapolated that calculation to hours, days, and a year. Through their explorations and preparation for different parts of the audit they have also been brainstorming ways to solve the problems, which is motivating them to begin writing the EcoRise grant. I know that as a teacher I can count on the support and e-mail updates from the EcoRise staff, which has always been helpful. If I ever have questions or concerns they are there to work through the problem and, more importantly, motivate me to continue the process. Q: Tell us about the moment when you felt like your students really started to “get it.” What kind of change did you witness in student attitudes and behaviors? Q: What are one or two of the biggest successes you’ve experienced so far in your classroom? A: When students are aware of their environment, they are more willing to ask questions about how things work within it. Each year the goal is the same: ask a ton of great questions. From always having at least one plant in my classroom, to bringing in architects to offer new perspectives on the classroom they are in each day, to taking my students out in the streets of Washington, D.C. to be a part of a worldwide Bioblitz, inquiries from students come at lightning speed. From the plants alone, without any prompting, students will ask the best questions, starting with “Can I water the plants today?” I try to inspire my students to work hard and achieve so that they drive their own education with questions. Students are empowered to find solutions to problems that they identify. When students are empowered, they are motivated. When they are motivated they will work hard to achieve a goal. If I am the one, as a teacher, always pointing out the problem they will never gain the agency they need to identify and fix problems for themselves. If they are allowed to try and fail within a safe space, then they will be ready for life. Q: If you were talking with a teacher or other educator who has never worked with EcoRise, what’s the number one thing you’d want them to know? 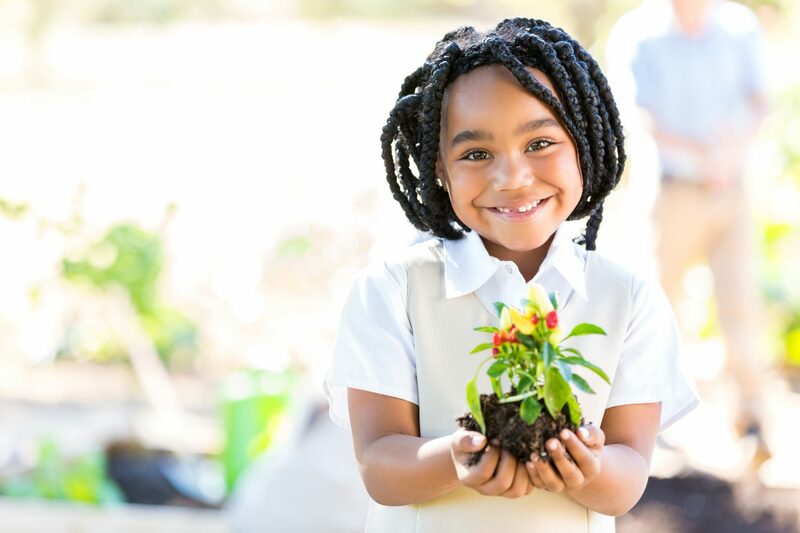 A: From a teacher’s perspective, the first thing I would want them to understand is that EcoRise provides a comprehensive, engaging sustainability curriculum that is fully supported by the D.C. Public Schools and Next Generation Science Standards. The second item I would want teachers to know is that the program is designed to empower students to make a difference in their communities. This article originally appeared on EdCircuit.